house on Thursday, April 2, 2015 from 6-8 p.m.
Join Laura Armenta, owner and director, for an entertaining evening of informative demonstrations, energetic performances, and delicious refreshments. Children are welcome. 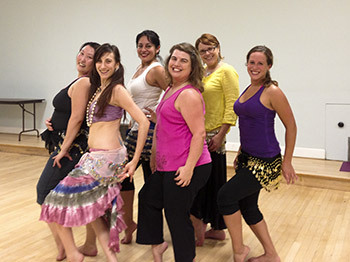 Laura, along with students and special guests, will show you the Armentality difference cultivated from 30 years’ experience in dance anthropology and yoga therapy. Explore a diversity of class offerings in an environment that supports growth, happiness and wellness.